These MICROMAG EDGE® Scrubbers are the smallest Walk Behind scrubbers in the Tomcat line. They are quiet and powerful enough to easily strip finish off VCT for recoating. 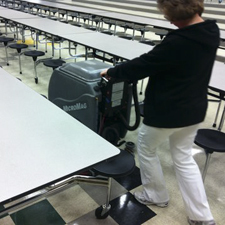 These MICROMAG EDGE® Scrubbers are the smallest Walk Behind scrubbers in the Tomcat line. They are versatile and can get where other machines can't. 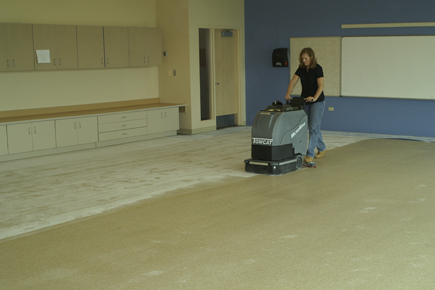 This floor machine has a large amount of brush down pressure to get deep down into the cracks and really pull up dirt. This floor machine is great for chemical free scrubbing as it only needs water to strip off finishes. 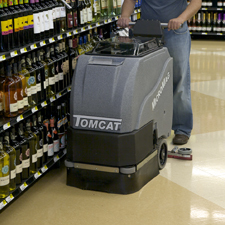 While the Tomcat EDGE® MICROMAG Walk Behind Floor Machine may be the smallest machine, it packs the biggest punch with the highest RPM motor on any of our machines, 2900! 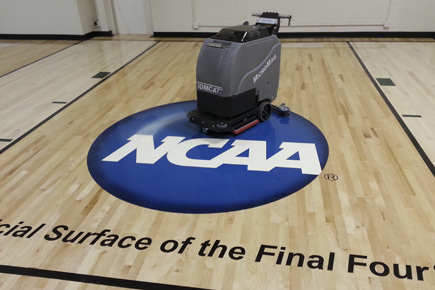 This floor scrubber can easily refinish wood Gym floors with Sandpaper and Sanding Screens to remove large amounts of finish that has been applied to the floors. 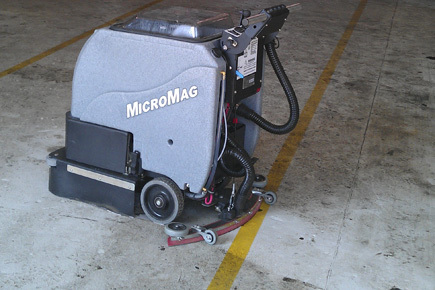 Tomcat's MICROMAG Oscillating Scrubber was designed based off of our already well known MAGNUM and MINIMAG. 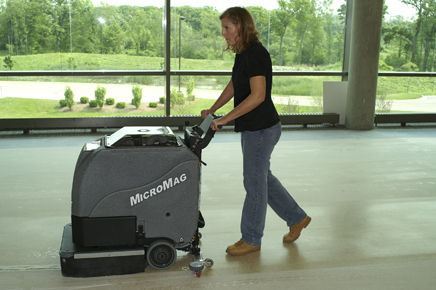 Our goal with the MICROMAG Floor Scrubber is to have the smallest walk behind scrubber available without sacrificing on solution tank space or productivity in terms of scrubbing performance. 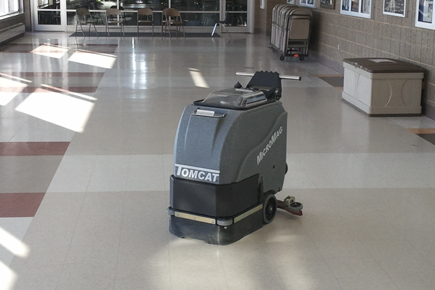 Tomcat's MICROMAG comes equipped with a powerful all-gear transaxle for climbing ramps and max operator ease. This offers unparalleled performance when climbing steep ramps and working on non-level surfaces. 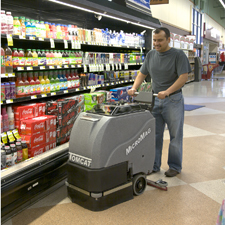 While keeping with the constant durability that Tomcat machines have to offer, your operators will find the MICROMAG Oscillating Floor Scrubber easy to use, as there is an adjustable handlebar for all heights of operators, and easy to maneuver into tight areas. The deck is protected by a 10 gauge steel frame and polyurethane rollers to keep the unit from marking walls. 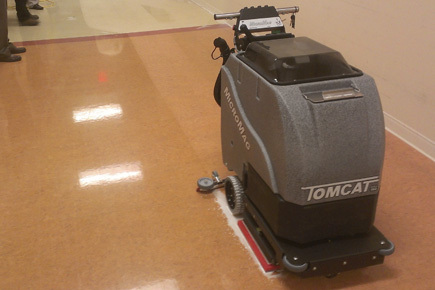 The Tomcat EDGE® Machines offer unbeatable floor finish stripping results for when you want to refinish any floor. Using Tomcat EDGE® Surface Preparation equipment reduces slip & fall accidents as well as up to a 70% reduction of Soap and Water usage. Dimensions (L x W x H): 38" x 18" x 38"
Tomcat EDGE® Pad Size: 20" x 14"